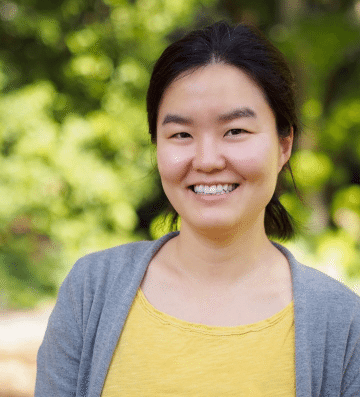 Yumi Kim is an assistant professor in Biology whose research focuses on the molecular mechanisms that drive and coordinate meiotic chromosome dynamics. She received her Ph.D. from UCSD and did her postdoctoral work at UC Berkeley. Accurate chromosome segregation during meiosis is essential for the transmission of stable genomes from parent to offspring. Errors in this process lead to the production of cells with an abnormal number of chromosomes or aneuploidy, and this is a major cause of miscarriages and birth defects in humans such as Down syndrome. Our lab is interested in the molecular mechanisms that ensure faithful chromosome segregation during meiosis. By combining biochemical reconstitution and structural biology with cytological and genetic analysis in the nematode C. elegans, we address fundamental questions of how homolog pairing, synapsis, and crossover recombination are executed and coordinated during meiotic prophase. Gudimchuk, N.*, Vitre, B. *, Kim, Y., Kiyatkin, A., Cleveland, D.W., Ataullakhanov, F.I., and Grishchuk, E.L. (2013) Kinetochore kinesin CENP-E is a processive bi-directional tracker of dynamic microtubule tips. Nat Cell Biol 15, 1079-1088. *Contributed equally. Kim, Y. *, Holland, A.J. *, Lan, W., and Cleveland, D.W. (2010) Aurora kinases and protein phosphatase 1 mediate chromosome congression through regulation of CENP-E. Cell 142, 444-455 *Contributed equally. Kim, Y., Heuser, J.E., Waterman, C.M., and Cleveland, D.W. (2008) CENP-E combines a slow, processive motor with a flexible coiled-coil to produce an essential, motile kinetochore tether. J Cell Biol (Cover) 181, 411-419. Kops, G.J.P.L., Kim, Y., Weaver, B.A.A., Mao, Y., McLeod, I., Yates III., J.R., Tagaya, M., and Cleveland, D.W. (2005) Zw10 links mitotic checkpoint signaling to the structural kinetochore. J Cell Biol 169, 49-60.